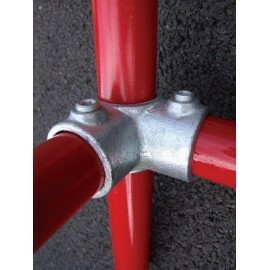 Reinerplay metal clamps for indoor playground structures. Made in Spain. TÜV Rheinland certified. Reiner Play manufactures only top quality components. 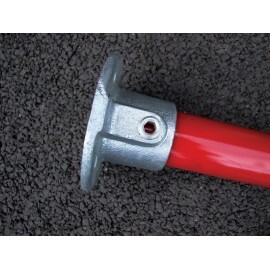 - Premium quality clamps made in GGG40 nodular iron. 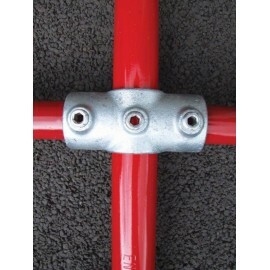 - A threaded insert of 8/8 M16 with zinc coating of 5 μm. according to REACH norm. Uniform thickness and aesthetically differentiated. - Manufacturing process controlled and made by Reiner Spain. 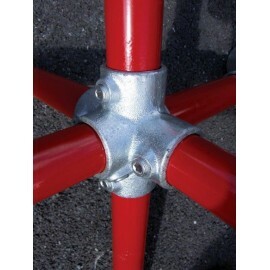 Each manufactured piece can be traced and located. Metal clamps There are 7 products. 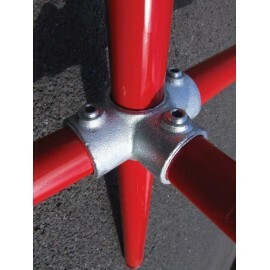 Metal clamp for playgrounds TE shape. 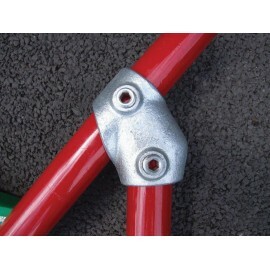 Metal clamp line model for playgrounds. 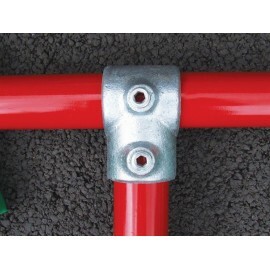 Reinerplay metal clamps. Base fitting. More than 240 available references.